Posted September 5th, 2017 by Tad Dixon. 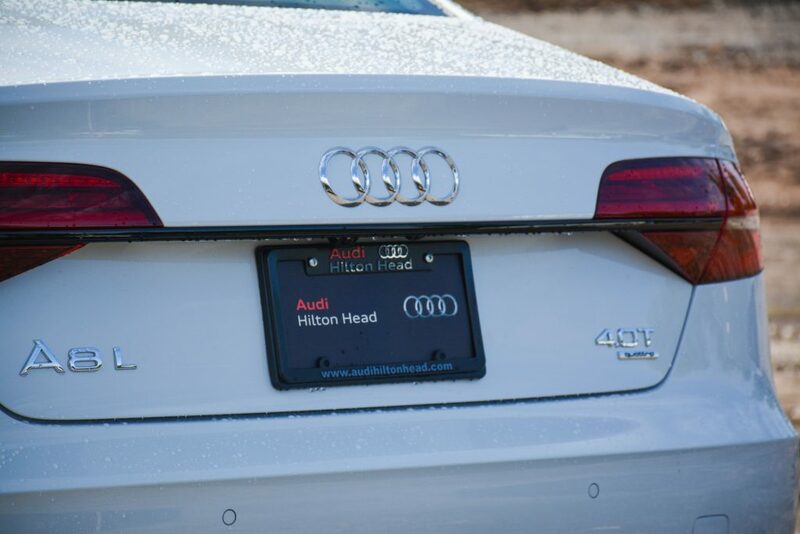 Jasper County, SC – The all-new Audi Hilton Head is on the way! On August 22, First Team Commercial joined other project partners to celebrate the ground breaking of Peacock Automotive’s new 30,000-square-foot Audi dealership. First Team Commercial is serving as the Project Manager with construction now underway and completion scheduled for 2018. The new dealership will be located two blocks from the current Audi Hilton Head dealership which is currently in a shared facility with Hilton Head Volkswagen. 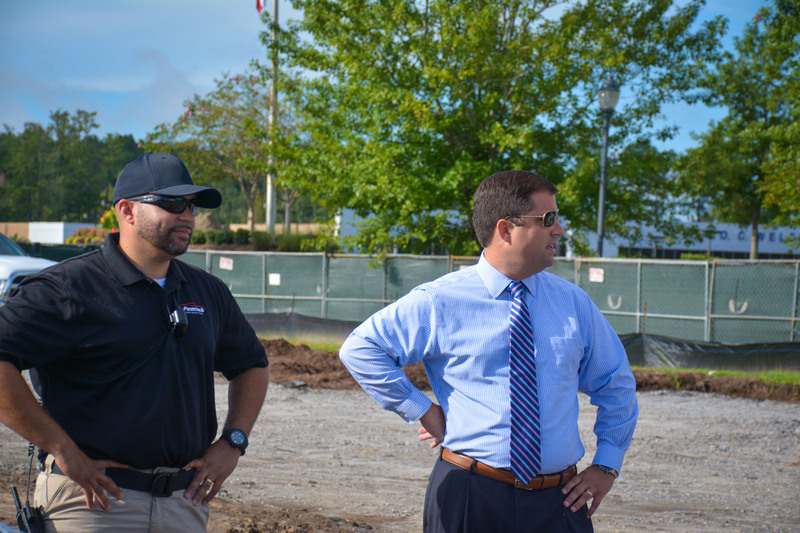 The new dealership facility will feature a state of the art repair center, along with convenient features such as a free coffee, beverage and snack bar. “We are excited to enter the construction phase to deliver Peacock Automotive and its valued customers a beautiful facility to enjoy for years to come,” said Dixon. Below are photos from the ground breaking ceremony and more.. This high-quality digital rendering shows what the all-new Audi Hilton Head dealership facility will look like upon project completion. 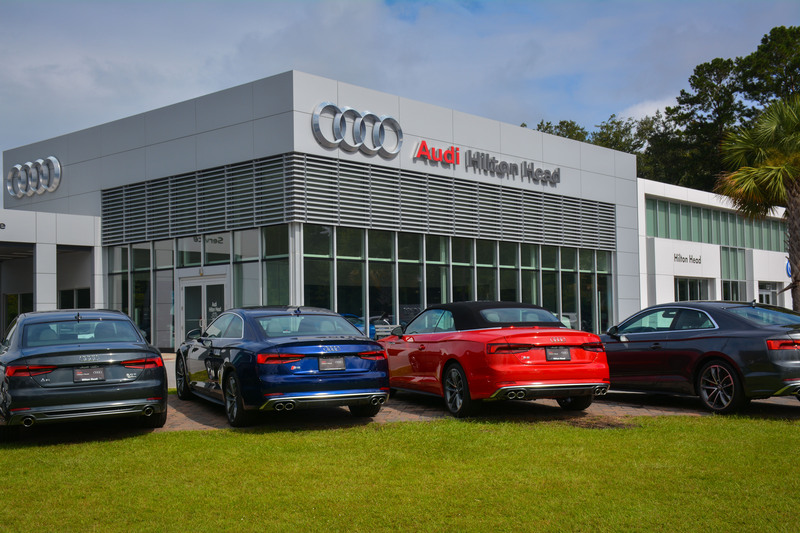 The soon to be exclusive Audi dealership will be located two blocks from the currently dualled facility with Hilton Head Volkswagen. 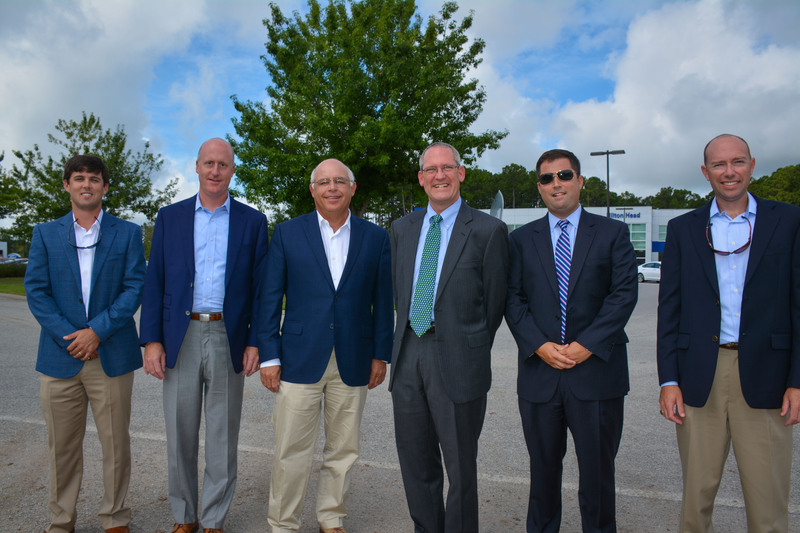 Standing from left to right, key members of the project team include Grant Story – Assistant Project Manager (Thompson Turner), Will Ligon – Director of Construction (Thompson Turner), Hal Turner – Vice President (Thompson Turner), John Lyons – Low Country Platform Director (Peacock Automotive), Tad Dixon – President (First Team Commercial) and Todd McElveen – Project Manager (Thompson Turner). “We are excited to enter the construction phase to deliver Peacock Automotive and its valued customers a beautiful facility to enjoy for years to come,” said Tad Dixon, President of First Team Commercial. 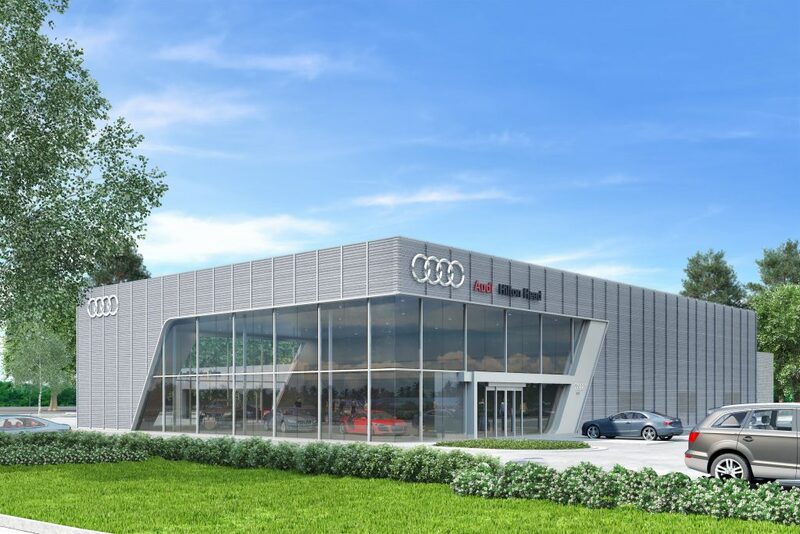 The new Audi Hilton Head will be a dedicated Audi Sport facility, which will expand its inventory of High-Performance Sport models and offer more Sport factory parts and accessories. 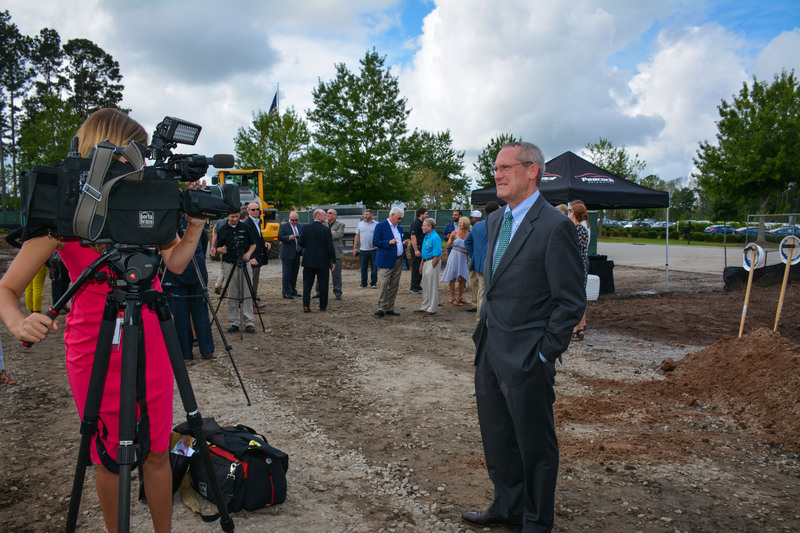 The ground breaking ceremony garnered local media attention. John Lyons, Peacock Automotive Low Country Platform Director, is seen here talking with a local reporter on what the community can expect from the all-new Audi Hilton Head opening in 2018. When the new facility opens, Volkswagen will grow to occupy the space vacated by Audi and the building will be renovated to be an exclusive Volkswagen dealership facility. 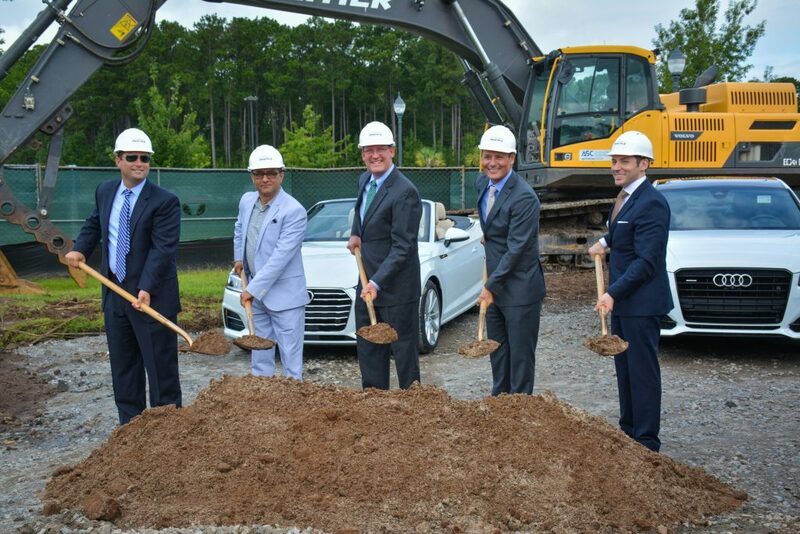 Standing from left to right, Tad Dixon – President (First Team Commercial), took part in the ground breaking ceremony with Khurram Khan – General Manager (Audi Hilton Head), John Lyons – Low Country Platform Director (Peacock Automotive), Bryan Pellock – Area Director (Audi of America) and Kyle Matthews – Sales Manager (Audi of America).